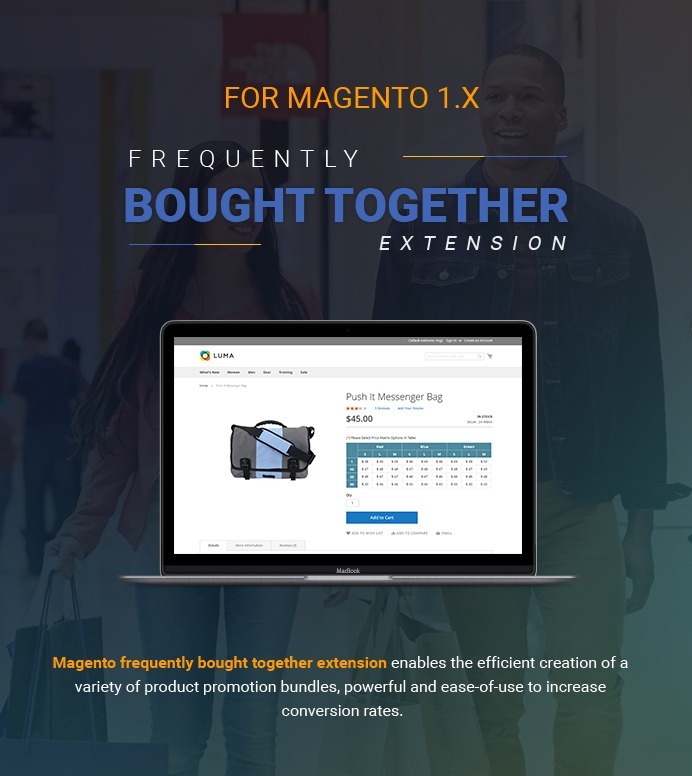 Magento frequently bought together extension enables the efficient creation of a variety of product promotion bundles, powerful and ease-of-use to increase conversion rates. When customers buy a product on your site, they often add the product to cart and checkout as usual. If they want to add related items with the main product, they will tick the boxes before hitting “add to cart” button. The proceess takes time and quite unconvinient as you customers won't instantly know how much the total is and decide if they can afford their purchase. Besides, the default procedure only allows them to update products or clear cart on the checkout page without knowing discounts for a group. When customers buy a product on your site, they often add the product to cart and checkout as usual. If they want to add related items with the main product, they will tick the boxes before hitting “add to cart” button. The process takes time and quite inconvenient as you customers won't instantly know how much the total is and decide if they can afford their purchase. Magento frequently bought together extension increases conversion rates. Step 1: Go to product detail page, you will see product's options in a group. Step 2: Use easily. You just click on the "add to cart" button to get the group of products instantly. Step 3: Go to Manage Promotion Bundle → Add Promotion Bundle to Add New Promotion. Step 4: In Product-Tab, tick on the check box of any product you want to add to your promotion and then click save button. Step 5: Go to Manage Promotion Bundle → List Promotion Bundle. In here you can edit all your existed promotions. Customers can choose product’s options in a group: Use easily in frontend. Customer just clicks on the “add to cart” button to get group of products instantly. They just have to choose once to update all products if products in a group have the same options without going to each product page to choose options. Easy edit, delete group bundle: Admin can easy manage promotion bundle in a separate tab. It was easy as pie to install it and to start promos with frequently bought together products. I installed it in the blink of an eye, easy and simple. Very useful extension for upsell and crossell. Great support, solved my problems really fast. Recommend. thanks Pham Hong Thanh eventually solved the problem. Thanks for the operational help! Excellent product! When customers buy a product on your site, they often add the product to cart and checkout. If they want to buy some related items with the main product, they need to tick the boxes before hitting “add to cart” button. This process takes so much manipulation and quite unconvinced as they don’t instantly know how much the total is and decided if they can afford their purchase. However, the default procedure only allows them to update products or change cart on the checkout page without discounts for a group. Therefore, cross-selling has become the most useful tool of suggesting customer buying related products, especially it is the most favorite way used by online store owners. Such proposals not only helps to attract customers to keep browsing your other available products that increase conversion rate but it also encourage customers to buy product although they don’t really need it. So this is exactly where Magento Frequently Bought together comes into play. 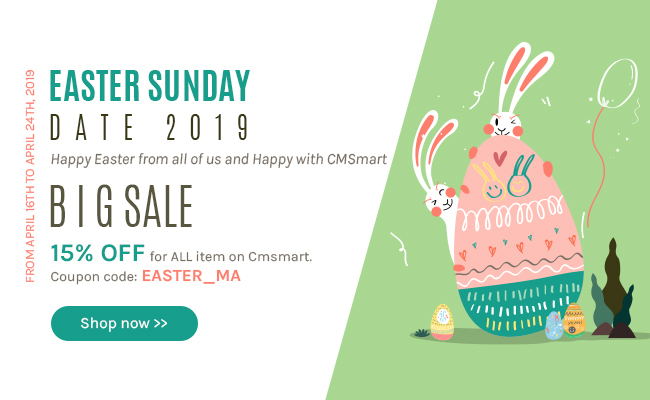 It allows you to display a bunch of related products such as upsell or cross selling, the same type products to increase conversion.Each bundle will include the main product and related items, price for each item, the total price with discount when buy this bundle. You can use natural customer behavior and encourage customers to buy your products based on the list of cross selling products; at the same time, you are able to increase customer’s satisfaction by suggesting related items to enhance the product and increase sales. Customers can choose products’ options in a group. Use easily in frontend. Customer just clicks on the “Add to cart” button to get group of products instantly. They just have to choose once to update all products if products in a group have the same options without going to each product page to choose options. Simple install and configure at admin panel. With this extension, admin don’t need technical knowledge, just one click to install for their website. At admin panel they can make their own style with simple way. Admin can enable or disable promotion product. Admin just goes to promotion bundle at admin panel to enable or disable production product as they want. Easy edit, delete group bundle. 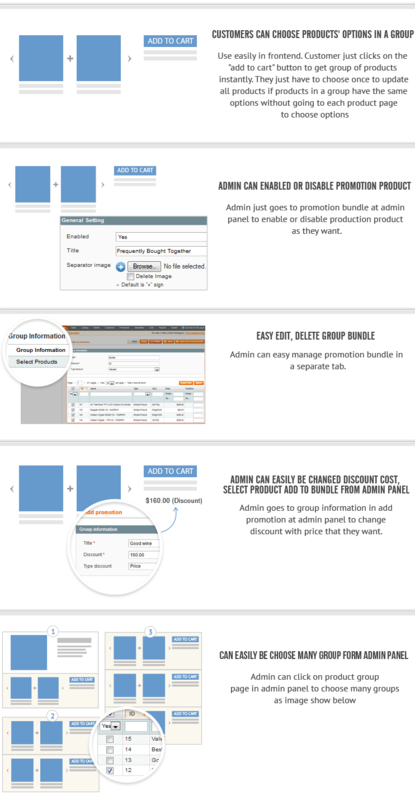 Admin can manage promotion bundle in a separate tab with some easy manipulations. They are just some main features of Magento Frequently Bought Together. Besides, it has many others features such as: user-friendly, group information includes group title, group discounts and products selection, add promotion products to the main product, add unlimited group to the main product, etc. We were searching for a frequently bought together module and we have leaned above yours in the end. 1. Will this product work for simple products, not visible individually, which are used in creating grouped products? We would like to know that, since most of the shop consists of grouped products. We are selling shirts and hats. 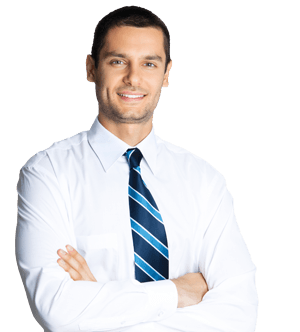 We have a grouped product named "shirts", which contains several simple products, not visible individually: red shirt, yellow shirt, blue shirt. We also have a grouped product named "hats" which contains several simple products, not visible individually: red hat, blue hat, yellow hat. We want to create a bundle product which consists of a blue had and a red shirt. 3. Is the "bought together" section displayed only on simple products pages, or can it be displayed on grouped products pages also? 4. Do you offer the a refund (money back) option if after installing and testing the extension on our project we realize it doesn't suit our needs? Im sorry to say that our product can't do your request at this time. We will develop this function in the next 2-3 months. When it release the new version, I will notice you. Do you have a demo of the admin panel for this extension? Unfortunately the extension is not working in your demo admin site. The 'Manage Promotion Bundle' top nav link and the 'Promotion Product' tab link for the product do no do anything. Are you able to fix these? There will be lists promotion, you can click what package you want to use. no, it's still not working for me - maybe there is a browser issue with this demo. or maybe a permissions issue - your screen shots show a different admin user name to the ones you provided above. Our developer have just checked your issue. But it is working fine. Could you send us screenshot of this problems? Or you buy our products soon and then if you have any problems, our team will try our best to help you. Please add my skype: janet.tran.92 to receive my answer faster. Could you please inform some doubts about the extension before our purchase ? 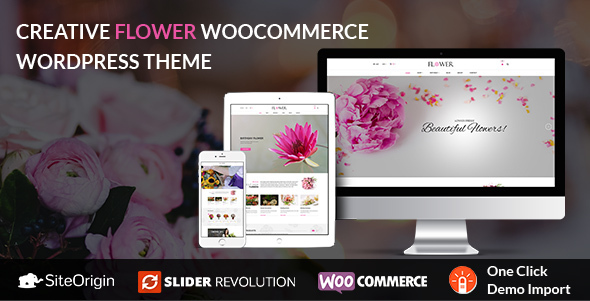 Does it work with Magento version 1.9.2.4 ? It is possible to fully translate back end and front end ? Is it possible to add the promotions on home page ? Is it possible to add a button for each product to be added to cart individually ? I'm Janet, happy to work with you. Below is my answer for your questions. "Does it work with Magento version 1.9.2.4 ?" => Yes, our product is compatible with Magento 1.9.2.4. "It is possible to fully translate back end and front end ? Is it possible to add a button for each product to be added to cart individually ?" => No, our product can support what you want. You can refer some other our products to choose the best products.